“Making Progress Together & Lifting as We Rise”: Elaine Welteroth on Finding Your Voice & Embodying | Gap Inc. 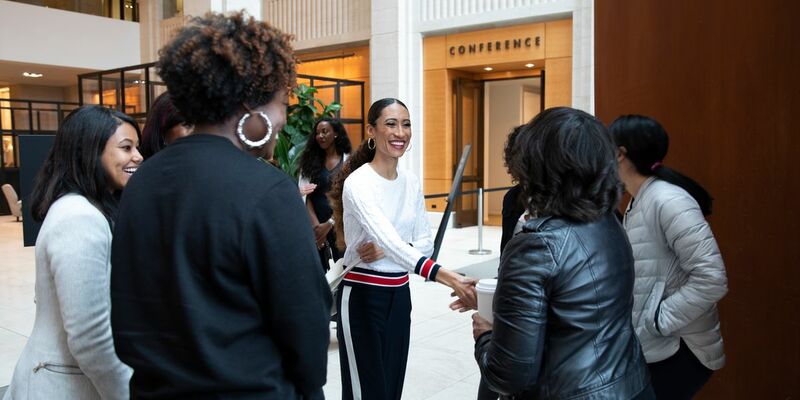 When Elaine Welteroth became editor in chief of Teen Vogue at age 30 in 2016, she became the first black woman to head a Condé Nast publication (and the youngest editor in chief in company history). Yes, there are a lot of firsts in her career, but more important than those firsts, is what it took to get there. 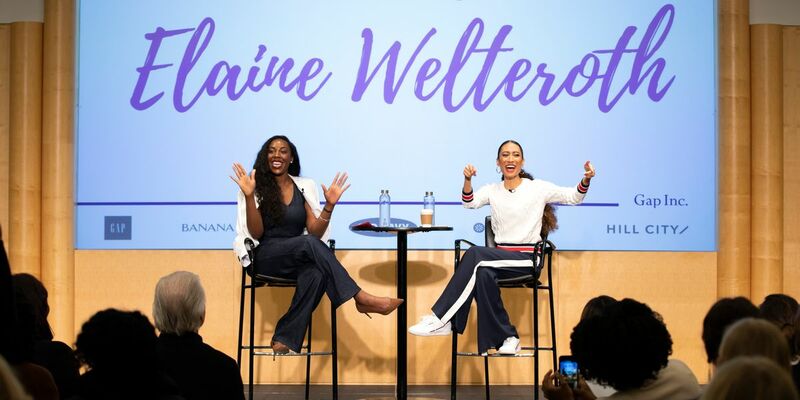 Fresh off the red carpet at the Oscars, Welteroth spoke at Gap Inc. HQ to close out our Black History Month celebrations. 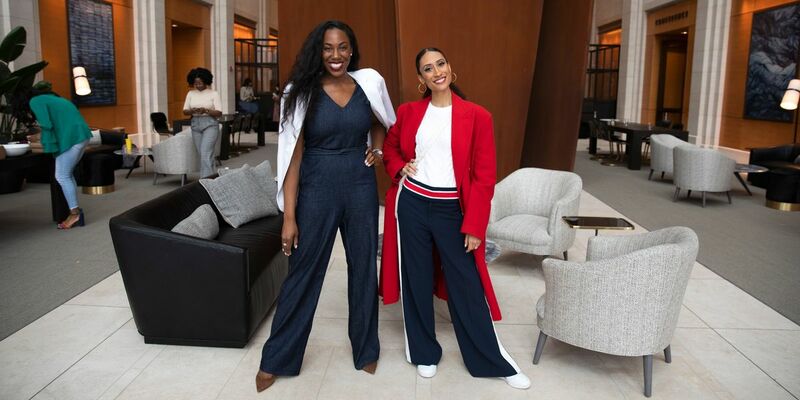 She spoke with Bahja Johnson, Banana Republic’s Director of Global Merchandising. This Q&A is condensed and edited from that conversation, which touched on everything from changing media culture to getting life advice from living legend Cicely Tyson at the Vanity Fair Oscars party. You started your career as an intern at Ebony and became its beauty and style editor before moving to Condé Nast. How did you find your place in an industry that’s known for being pretty homogeneous? When I left Ebony for Condé Nast, I felt the need to assimilate and adopt the characteristics of the folks who were deemed “respectable” in the hierarchy at magazines like Vogue and Harper’s Bazaar and W. I did what I had to do to get in those doors: straightened my hair and put it in a low bun, wore khakis and Tory Burch flats. I found myself going through this process of shrinking myself to fit in because I was just happy to be there. But, you know, we go through an arc of learning how to become who were are. Once I was a black girl who’d made history, I knew that no matter what I do, I will always stand out. Maybe that’s my competitive advantage — maybe my point of difference is my superpower! So I started to ask: What are the things that only I can do in this job? What’s never been done before that I can bring? What are the stories only I can tell? That was the beginning of finding my editorial voice, my voice as woman in the world and as a journalist who has something to say that’s different from what has been said before. You pride yourself on having an amazing “girl gang” of black women friends. Can you talk about the role that strong relationships like those play in your life? I would never have survived if I didn’t have a solid group of women with me — it’s about collaboration over competition. 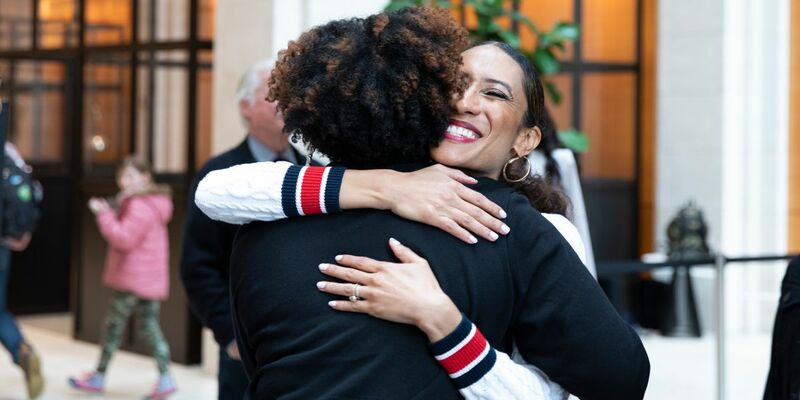 The best thing that happened to me as editor in chief at Teen Vogue was having a tribe of successful female executives who reached out to me, pulled me in and covered me. When I was working on a partnership between Teen Vogue and Apple, my friend Bozema St. John worked at Apple and pulled me into her office for a pre-meeting. I asked, “What’s a pre-meeting?” She said, “Girl, this is what white men have been doing on the golf course all this time!” Now that there are more of us in different places, we can all band together and help each other. We don’t do it alone. 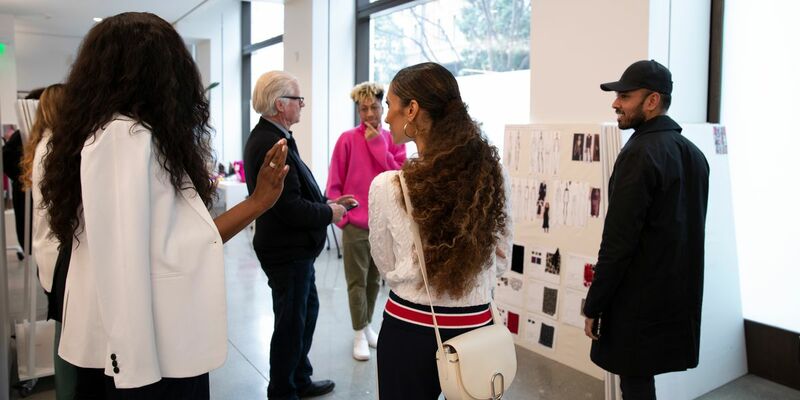 Diversity and inclusion are a macro trend in the fashion industry. Why now, and what’s your take? Diversity and inclusion version 1.0 meant establishing that it’s a business imperative. Now, we have to demand authentic representation. It matters to customers who’s telling the stories, where ideas are coming from and how they’re being shaped. I know what it took to make Teen Vogue what it was: looking at the talent pipeline at every level of the organization and making sure we had someone on our masthead that reflected every kind of reader out there. And where we didn’t, we pulled in experts and passed the mic to them. We don’t act like authorities in areas where we are not; instead, we use our power to amplify other people’s voices — underrepresented voices. That model can be applied to any business. Last year, Beyoncé used her power to request a black photographer for her Vogue cover shoot, and that’s how Tyler Mitchell became the first black photographer to do a Vogue cover. It’s revolutionary, but it’s sad that it didn’t happen until 2018. The theme for Gap Inc.’s Black History Month celebration is “Black Excellence.” How do you walk in your excellence every day and encourage others to do the same? We are a “we” culture, not a “me” culture. The way we can be excellent is by making progress together and lifting as we rise. Can we wrap up with your three takeaways for how we can make sure we claim our space in the world? Inclusion by design is something we live and breathe here at Gap Inc. See the work we're doing to make our organization a place of equality and belonging at all levels.